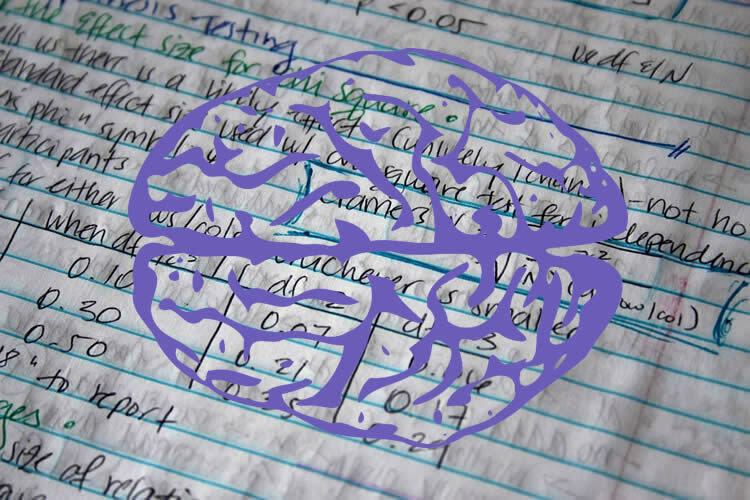 Summary: Researchers have developed a new mathematical algorithm that can detect dyskinesia in Parkinson’s patients. A mathematical algorithm that can reliably detect dyskinesia, the side effect from Parkinson’s treatment that causes involuntary jerking movements and muscle spasms, could hold the key to improving treatment and for patients with the disease. Scientists in Heriot-Watt’s School of Mathematical and Computing Sciences have conducted clinical studies that prove their algorithm reliably detects dyskinesia, an unexplained side effect of Parkinson’s disease. They are working to develop a new home monitoring device for patients that will help their clinician adapt and improve treatment. The motor features of Parkinson’s Disease, such as tremor, postural instability, and a general slowing of movement, are caused by a lack of dopamine, and clinicians treat this through dopamine replacement drugs such as levodopa. Dr Michael Lones, leader of Heriot-Watt’s Complex Systems Laboratory, said: “The problem is that, as Parkinson’s Disease worsens over time, the dose required to treat the motor features increases, which increases the risk of inducing dyskinesia or making it more prolonged and severe. “Patients don’t see their clinicians that frequently, and medication only changes at regular review periods. So it’s very difficult for clinicians to know when dyskinesia is occuring. Dr Lones and his team carried out two clinical studies, with 23 Parkinson’s Disease patients who had all displayed evidence of dyskinesia. Lightweight sensing modules were fitted to each patient’s legs, arms, torso, head and trunk using adjustable bands, and patients had their movements measured each hour using the MDS Unified Parkinson’s Disease Rating Scale (MDS-UPDRS). An infrared camera was used to film patients as they moved around and footage was later marked up by three trained clinicians who graded the intensity of dyskinesia exhibited by patients. Dr Lones said: “The clinical studies allowed us to capture and mine data about how patients move and used those to build models. The motor features of Parkinson’s Disease, such as tremor, postural instability, and a general slowing of movement, are caused by a lack of dopamine, and clinicians treat this through dopamine replacement drugs such as levodopa. NeuroscienceNews.com image is in the public domain. “We developed our algorithm to make as few assumptions as possible. With traditional analysis, you make assumptions about what a movement looks like. If it doesn’t look like exactly that way, you won’t detect it. Very little is known about dyskinesia, so we wanted the algorithm to be as ‘open’ as possible. Funding: This research is in collaboration with the University of York and with clinicians at the Leeds Teaching Hospitals NHS Trust. Heriot Watt University “Parkinson’s ‘Jerking’ Side Effects Detected by Algorithm.” NeuroscienceNews. NeuroscienceNews, 8 January 2018. Heriot Watt University “Parkinson’s ‘Jerking’ Side Effects Detected by Algorithm.” http://neurosciencenews.com/math-algorithm-parkinsons-8286/ (accessed January 8, 2018). Parkinson’s disease (PD) is a neurodegenerative movement disorder. Although there is no cure, symptomatic treatments are available and can significantly improve quality of life. The motor, or movement, features of PD are caused by reduced production of the neurotransmitter dopamine. Dopamine deficiency is most often treated using dopamine replacement therapy. However, this therapy can itself lead to further motor abnormalities referred to as dyskinesia. Dyskinesia consists of involuntary jerking movements and muscle spasms, which can often be violent. To minimise dyskinesia, it is necessary to accurately titrate the amount of medication given and monitor a patient’s movements. In this paper, we describe a new home monitoring device that allows dyskinesia to be measured as a patient goes about their daily activities, providing information that can assist clinicians when making changes to medication regimens. The device uses a predictive model of dyskinesia that was trained by an evolutionary algorithm, and achieves AUC>0.9 when discriminating clinically significant dyskinesia.